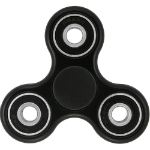 twitchquotes: I thought fidget spinning was a dumb trend, but then I got mine. I felt the spin, I felt it on my finger, I felt the rush of a good spin. It changed me. I got my spinner ironically, but I was wrong. Its amazing, I'm smarter, more productive, more focused at work, a simple task is now much better. Outsiders dont get it, they dont get us. I'm not saying were better but were more open minded and probably smarter. I love this community, and I love this way of life. I thought fidget spinning was a dumb trend, but then I got mine. I felt the spin, I felt it on my finger, I felt the rush of a good spin. It changed me. I got my spinner ironically, but I was wrong. Its amazing, I'm smarter, more productive, more focused at work, a simple task is now much better. Outsiders dont get it, they dont get us. I'm not saying were better but were more open minded and probably smarter. I love this community, and I love this way of life.